A repellent can be made by mixing 1 part of your selected essential oil with 10 parts jojoba oil, olive oil, rubbing alcohol, vodka, or witch hazel. *Geranium Oil- repels Mosquitoes & flies. *Tea Tree Oil- Repels Lice, ants and Mosquitoes. 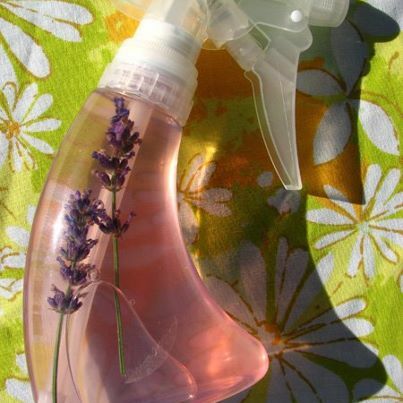 *Lavender Oil- Repels Fleas, Mosquitoes, Flies, Ticks and Chiggers. *Rosemary Oil: Repels Ticks & Fleas. *Lemongrass Oil- Fleas, Mosquitoes, Flies, Ticks & Chiggers. *Cedarwood Oil- Lice and Moths. *Peppermint Oil- Repels Ants, Lice & Spiders. This entry was posted in DIY, Red Foxes (Animal Category) and tagged DIY, Natural Insect Repellent, Red Foxes (Animal Category), The Good Witches Farm House Kitchen. Bookmark the permalink.